This is LOLA #A1998200 a 5-year old female German Shepherd. Super sweet girl, she seemed interested in the other dogs around but felt frustrated she coudl not inetract, she looks friendly but proper introductions are a musta s usual. 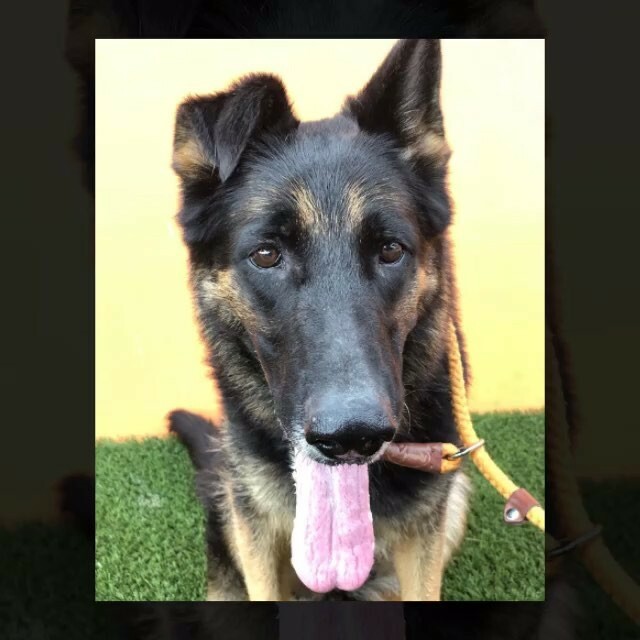 She must have been used for breeding, she is a gorgeous girl with classical GSD lines, but must have been discarded now, and must have been kept outdoors, her ears have fly bite marks on the tips and her right ear is thick with a huge hematoma. She is a bit skinny and needs to gain healthy weight. Lola is a great dog who has a lot of love and affection to give and deserves the best home possible, to be loved an pampered like she’s never had before. @marcelaartist .